We’ve all had one at some point... in fact, headache is one of the leading health complaints among adults. And around 1 in every 6 Australians are taking pain-relieving medication for a headache right now. That’s a substantial burden we are carrying. But Why Does My Head Hurt? 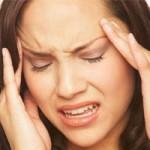 Most headaches do not have a clear ‘cause and effect’ – usually there are many factors contributing to head pain. 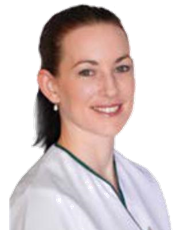 That’s why you need professional advice to investigate and properly diagnose the specific factors behind your headaches – and to ensure there are no ‘serious’ causes, especially if your pain persists, worsens, or begins suddenly. But for most sufferers, the first step is to identify what factors are ‘triggers’ – that is what brings on your headache attack. The best way to identify your triggers is to keep a headache ‘diary’. Simply write down what you do/eat/drink, your hormonal cycle, medications you are taking, and any changes in your environment over a period of time. This will help to identify any patterns that may lead to your headaches and provides a useful tool for your doctor to diagnose your headache accurately. A tension headache is caused by muscle tightness in the upper back, neck and head, and is the most common of all the headache types. Stress is the primary trigger. To successfully treat ongoing head pain usually requires a combination approach that takes into account all of your triggers. Ask your doctor or pharmacist for help. Over-the-counter analgesic (pain-relieving) medications are likely to provide relief*, but it is important to address the cause as well as the symptoms. Treatments for chronic headaches often include lifestyle adjustments, such as relaxation techniques, stress management, dietary changes, physical therapy and exercise, attention to posture, and of course, treatment for any underlying condition. It’s easy to say, but hard to achieve - avoid stressful situations whenever possible. Develop strategies to cope with stress and to relax. Try breathing and relaxation exercises, or take some time for yourself each day. It can work wonders to reduce the frequency of tension headaches. Headache-relieving stretches can reduce muscle tension that contributes to pain. Add them to your daily routine or use them when a headache looms. Neck isometrics – press palm into forehead and hold; press hand on each side of the head and hold. Hold each stretch for five seconds, relax for five seconds, and repeat each stretch three to five times. The way we stand, sit and lie down can put excessive pressure on the muscles in the neck. 1. Don't sit slumped in your desk chair all day. Get up every 20 minutes or so and stretch. You may be surprised how much this simple task helps with muscle tension. Design your workspace to improve your posture. Your head and neck should be forward facing in and neutral position, shoulders should be relaxed, forearms level, knees slightly lower than your hips, feet flat on the floor and lower back supported. Avoid sleeping on your stomach with your head turned to one side.